Do you love to organize your home while adding to the decor? Yes, me too! 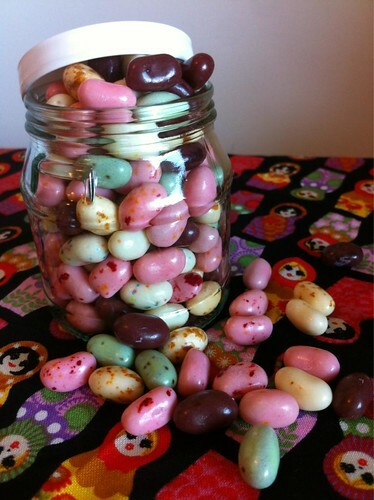 My current favorite is reusing glass Glenilen yogurt or mini jam jars to sort my stuff, separate my clutter and speckle my home. They work equally well for storing sweets and spices too since the jars are already proven to be food-safe and dishwasher safe. I use them for my jam and Kate uses hers for desserts, marmalade, mince pie filling and other treats. 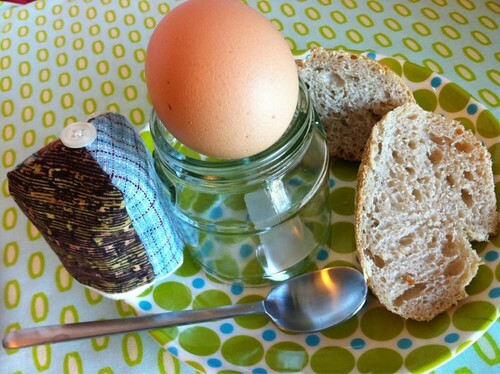 I like using mine for jelly beans or egg cups for extra large free-range soft-boiled eggs and soldiers. And a collection of something always looks tidier than random clutter so I find it is a sneaky way to put away tiny things while still keeping them in plain sight. 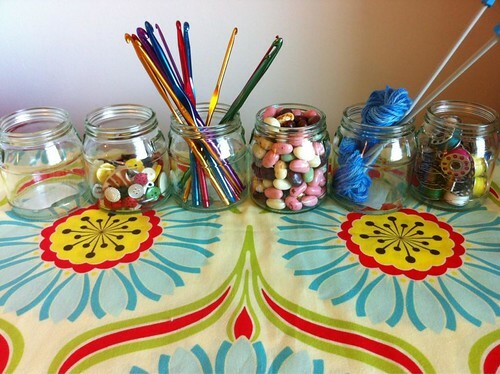 A row of clean glass jars filled with odds and ends looks much nicer than piles, don’t you think? Especially a collection of craft supplies or tools. I like how it looks filled with colorful aluminum crochet hooks or buttons. 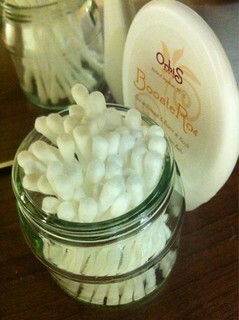 If you’re admiring my crochet hooks, here they are on Amazon.co.uk and on Amazon.com . 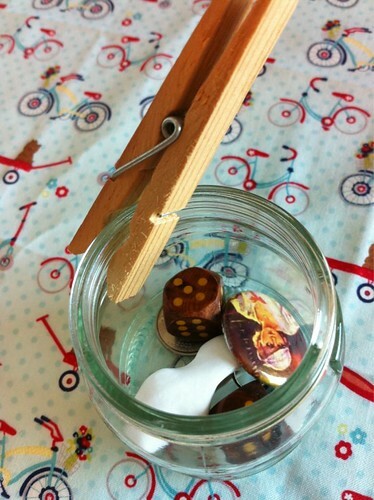 The lids can close securely as well which makes them my favorites for safe-guarding choke hazards, such as buttons, bobbins, jelly beans or foreign coins away from my toddler’s curious reach. Reusing jars is also nice for gifts, like homemade jam or lemon curd. You can even customize your jars with etching cream, spray paint or glass paint. No matter how you fill or adorn your jam jars, next time a glass vessel crosses your kitchen sink, consider washing and reusing it creatively instead of chucking it in the recycling bin. 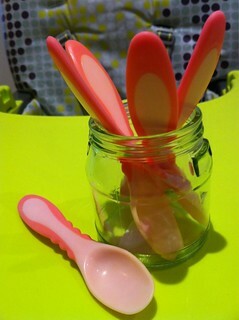 I also find them nice for sorting baby spoons and bathroom supplies because they’re so easy to put through the dishwasher. What is your favorite ordinary packaging that you use again and again after it has served its original purpose? 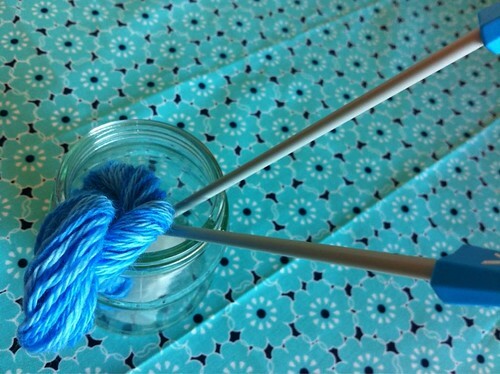 This entry was posted in Home | Style, Knitting | Crochet, Previously Loved Finds, Tutorials | Patterns and tagged upcycling.